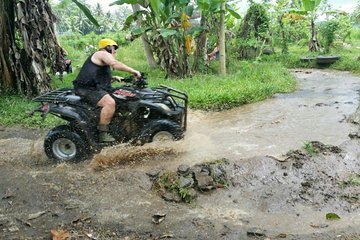 Adrenaline junkies won’t want to miss this classic adventure combo: an off-road ATV session followed by a white-water raft trip down the Ayung River. Roar through rice field landscapes, bamboo forests, and riversides on your ATV; paddle your raft down the Ayung River gorge; then feast on a delicious buffet lunch. Your day includes training, safety equipment, and door-to-door round-trip transfers.